LEESBURG — Kip Tom, chairman of Tom Farms, is to be accorded the rank of ambassador during his tenure of service as U.S. Representative to the United Nations Agencies for Food and Agriculture at the Department of State. The announcement was made Wednesday by President Donald J. Trump. The United States Ambassador to the United Nations Agencies for Food and Agriculture is the head of the United States Mission to the UN agencies in Rome and thus is the U.S. ambassador to the three United Nations agencies for food and agriculture located in Rome: The Food and Agriculture Organization of the United Nations, the International Fund for Agricultural Development and the World Food Program. U.S. Representative to the United Nations Agencies for Food and Agriculture with the rank of ambassador during his tenure of service is one formal title of this position. “Kip Tom is an outstanding Hoosier and a leader in the agriculture community. Kip’s significant experience in agriculture, business, and humanitarian relief, make him an excellent fit for this role. As we work to address food insecurity and malnutrition around the world, it’s important to have someone in this position who can represent our interests and values. We congratulate Kip on his nomination and look forward to voting for his confirmation,” said U.S. Senators Todd Young and Joe Donnelly. As chairman of the Senate Foreign Relations Subcommittee that oversees the United Nations and its agencies, Young recommended Tom for the appointment. His agribusiness experience includes work in North America, South America, Africa, Europe, the Middle East and Asia. Tom serves on the boards of the Indiana Economic Development Corporation, the Indiana Chamber of Commerce, the Future Farmers of America Foundation, and the National 4-H Foundation. He is the recipient of the 2015 Agriculture Future of America Ag Leader of the Year Award. Tom grew up on his family’s farm in the community his ancestors homesteaded in 1837. Seven generations of Tom’s family have farmed that land. Tom started as a production technician in the family business and worked his way up to Assistant Director of Production and Supply Management where he lead the company’s growth and expansion of production. In 1985, Tom led Tom Farms’ engagement into seed production for and in a little over a decade, grew Tom Farms into one of the largest U.S. contract seed producers while bringing seed production opportunities to other farmers across Northern Indiana. By 1992, he began seed corn production consulting services in Latin America by working with companies to improve yields, increase efficiencies and shorten the timeline in the supply channel in Southern Hemisphere Seed Production. In 2000, he led the efforts to found a company in Argentina to produce seed. Today, Tom Farms is one of the larger seed producers and also has provided in the past products and services to various other Indiana companies such as Red Gold and Weaver Popcorn. Tom helped bring good-paying jobs to Indiana as a member of the board of directors of the Indiana Economic Development Corporation. Appointed by Gov. Mitch Daniels and serving under both Daniels and Gov. Mike Pence, Tom has been an important part of Indiana’s job creation efforts that have broken records for job creation and attraction nearly every year. He is involved in several philanthropic organizations that focus on food security issues domestically and globally and has traveled to and worked in Afghanistan, Iraq, Kenya, Tanzania and other developing nations. 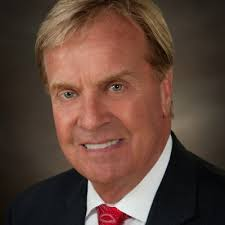 He is also a former member of the Indiana Chamber of Commerce Board of Directors. At Purdue University he served on the Deans Advisory Council. The Family business has been awarded the Ernst and Young Entrepreneur of the Year Award in Northern Indiana in 2002. Tom has an associate’s degree from Texas A&M in Ag-Economics.